A while back, I received a recommendation to check out Tasso's Greek restaurant, and then possibly bring all the Greece-bound students and their parents to the restaurant in celebration of our upcoming trip. I found a Groupon, and we finally made a visit last Friday night. It was SO fun. The food was delicious (I got moussaka and Aaron got the lamb chops). We did the package deal that included pikilia appetizers and salad, and I've never had better pita bread! We did a little dancing, paid $3 to break a plate, and had a great time listening to live music, waving napkins, and yelling, "Opa!" We're loving trying new restaurants around KC. On Saturday, we had the opportunity to go to our first (World-Champion) Royals game of the year! Aaron and the guys orchestrated a big group of us to meet and go down early together in an RV, which was a whole lot of fun. It was a bit chilly, but overall a great day for some tail-gating, catch, and an exciting Royals' win. Shout out to my hubby for grilling some of the best chicken I've ever had, along with bacon-wrapped hot dogs and brats. (He's a catch, y'all.) Oh, and the seven run, four homer game wasn't too bad either! April is a big birthday month for a lot of our friends, and we are excited to be hosting a big birthday bash this weekend. All the really fun parties are themed, so of course we're going beachy with this shin-dig. Flip flops, Hawaiian shirts, and beach balls for the win. I love hosting people and having our home filled with awesome people and the sounds of laughter. Looking forward to trying some new snacks and celebrating the amazing friends we're blessed to do life with! One of my favorite parts of our newly-rustic dining room. Click here for more! Lately, I've been trying to be more intentional with some of the wonderful folks in our lives. I'm not always the best at phone conversation and keeping in touch, so I try to find time to be together in person, even if it's nothing fancy. My girls Campaigner group (which is YoungLife's version of a Bible Study), has been meeting in our home and sharing life, scripture, and of course lots and lots of dessert. Big cookie is one of our YoungLife camp favorites, and I'm happy to report that this one turned out awesome (even though I was unsure about the 9X12'' pan). I've also been blessed by some weekly walks with my momma where we can catch up on life and explore the neighborhood a bit. Love her! You may have seen this week's post about the New York City portion of our Spring Break trip to the Northeast. We had a great time in the Big Apple, and then headed off to Boston (which I'll be sharing more about a little later!) For now, we are already working to plan our next trip, which is looking to include San Francisco and the Napa Valley area. We've never been there, and the dates work out just perfectly to fit it in between school getting out and my softball camp. Booking flights has never been easier with our Companion Pass, so we're also working on some fun itineraries for the rest of the month of June (insert happy dance here!). What are you up to this week? Hope your weekend is full of relaxation, fun, and some quality time with some amazing people in your life. Following along on Instagram? It's where you'll be the first to get daily updates and fun photos and videos like the ones mentioned in this post! Check it out. Happy Friday! 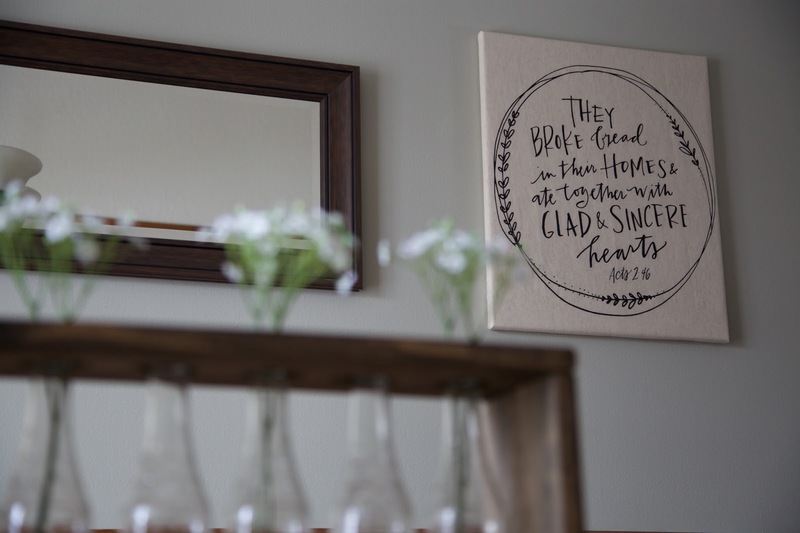 Love that canvas in your living room! Where's it from? Don't you just love baseball season? That huge cookie looks delicious! I bought four plane tickets last night, so YAY for traveling! Even if it's just to go "home," I'm not sure I'll ever not experience that little rush when you click the mouse to start a new adventure. I can't wait to read about Boston and San Francisco! Looks like you had a great week!! I loved your NYC post. I need to check out that Companion Pass!! Nice! Sounds like a great week, and looks like fun this weekend with your big birthday bash. I have a birthday party for a friend too...as long as we can find a sitter. Sounds like you've had a wonderful week. How exciting about the big party you're throwing this weekend. I love hosting a party with/for friends and themes are always fun. It just makes it all come together!! I'm hoping to host a party sometime this weekend, as it's been awhile! So many fun things ahead! Can't wait to hear to hear about the rest of your upcoming travels!! It looks you had a great time this week. Unfortunately my five kids and my husband were ill so we didn't do nothing special. Maybe next week! Travel is always fun. This week I'm planning on finishing a furniture paint project and cleaning out the garage...eek! Wish me luck! I can't wait to follow along on your travels! So fun!